Purchase all M.A. 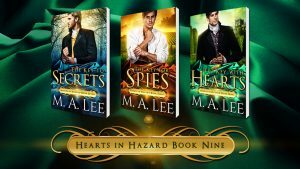 Lee’s books here! Released December 2017, cover by Deranged Doctor Design. 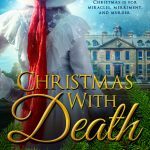 Christmas is for miracles, merriment, and murder. For more information. and to purchase,Find CHRISTMAS WITH DEATH here. The first in the Into Death series: Digging into Death View the Trailer here and purchase here. I say artist in Greece, they find images with sketches of Greece. I say heroine’s favorite color is periwinkle; they find a place to use it. I say set in early 20th century; they find a costumed model with a period-appropriate dress. I say beach; they give me a beach with a lovely sunset. They actually gave me two cover options, one with a beached boat that had lovely colors . . . but no boat in this book. Give your cover designer ideas but very little direction. Trust the designer’s aesthetic. 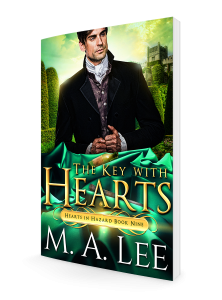 Find a cover designer with your aesthetic; my search took almost two years, which gave me time to focus on other writing. 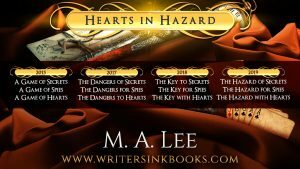 The wait was useful: I published the first three books in the Hearts in Hazard series back to back, which I believe increased their sales. 2 * 0 * 4 Lifestyle planner ~ information here.